Paul Fretter has practiced and taught martial arts since the early 1980s and in 2006 was graded to 5th Dan in Okinawan Goju ryu Karate Do. He began Tàijí as a student of Peter Dobson in 1991, and then followed Peter to learn under Wee Kee Jin in 1997. Since 2007, Paul has focussed his training on Wee Kee Jin's Tàijí Quan and White Crane. He is actively training and teaching Tàijí Quan and Fujian Bai He Quan (White Crane) in Norwich, although he is not currently teaching Karate. Peter Dobson the UK TSCE Coordinator has been practicing and teaching Taiji since the 1980's, and in 1997 he brought Wee Kee Jin to the UK. For many years Pete has taught regular classes in Norwich, but nowadays divides his time between New Zealand and the UK, Peter is available for private tuition and workshops on request. Martyn Guest became a student of Peter Dobson in 1994 and began teaching at Peter’s request in 1996. 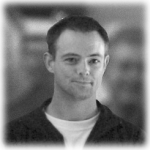 In 1997 Martyn began learning from Wee Kee Jin and became a TSCE qualified instructor in 2007. He also holds a City & Guilds 7307 Certificate in Adult Education and is an Advanced Instructor member of the Tai Chi Union GB. Martyn is available for individual tuition, groups, events and charity work. Neil Bloomfield started his journey with martial arts in 1973 with Goju Ryu teachers John Lambert, Jim Flannigan, Derek Cawkwell, Frank Sargent and David Lambert in Fife. 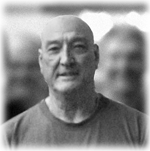 For a number of years, Neil ran his own dojo within the Scottish Goju Ryu Karate Association in his home town of Kirkcaldy. Now resident in Norwich, Neil continues his Goju Ryu practice with Sensei Bob Honiball and Sensei Tony Green, and since 2006 has been developing his strong interest in Master Huang's Fujian White Crane with his friend and teacher, Paul Fretter. Chris Hayley has been studying Taiji and White Crane under the guidance of Paul Fretter since 2007.